Chemical hazards can lurk, unseen. The U.S. Chemical Safety Board (CSB) says we should learn from the West Fertilizer Company explosion in Texas. Listen for their study results. The CSB recently released its investigation findings into the 2013 explosion at the West Fertilizer Company in Texas. In this podcast, Dan Clark describes what caused the April 2013 chemical disaster in West, Texas. The CSB determined a combination of zoning laws, storage conditions, and lack of training and education led to the explosion killing 15, injuring 260, and destroying homes and businesses. BEFORE THE EXPLOSION. What was the situation at West Fertilizer Company? • The facility stored fertilizer grade ammonium nitrate (FGAN), along with other chemicals. • A fire started, which led to the explosion of FGAN. The cause of the fire undetermined. • The business had plans for dealing with anhydrous ammonia emergencies, but not FGAN explosions. • Most of the volunteer fire department in West, Texas did not have training related to FGAN or knowledge of the possibility of an explosion at the company. • There was Limited regulatory oversight. • Schools, residences, and a nursing home were all less than 2000 feet from the facility. • Businesses using dangerous chemicals need to be aware of all possible hazards. • OSHA’s Process Safety Management standard deals with hazardous chemical releases, but the possibility of fire or explosion also must be considered. • Businesses should also have clear emergency response plans for chemical incidents. In this case, no employees were involved, but that often won’t be the case. • These hazards should be communicated to local fire departments and emergency responders. 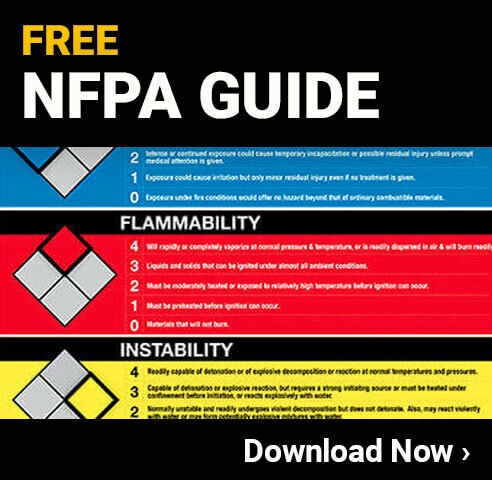 • Chemical fires must often be handled differently than other fires, so fire fighters need to know what kinds of fires/explosions they might face. Responders can prepare accordingly. Useful reference documents for chemical hazard response include the Emergency Response Guidebook from the DOT, NFPA standards, and safety data sheets. THE COMMUNITY’S ROLE AND THEIR NEED TO KNOW. • People were allowed to build houses and schools nearby without knowledge of the hazards present. • Communication about zoning issues in communities needs to be discussed.